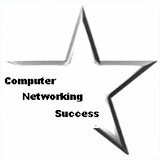 When you change computer name and join a workgroup it will get you closer to setting up your home or small office network. A computer name identifies your computer on the network. Each computer on your network must have a unique name in order to communicate in the network. If two computers have the same name, it creates a conflict for network communications. Microsoft suggests that you keep your computer name short and simple. 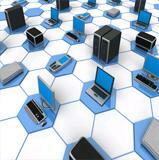 A workgroup is also called a peer-to-peer network. 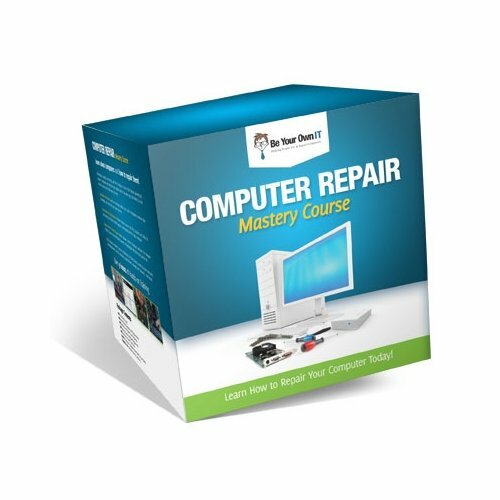 If you have fewer than ten computers in your home or small office network then it is recommended to configure your computers with the same workgroup. 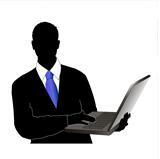 This will allow your computers to communicate and share resources with each other. 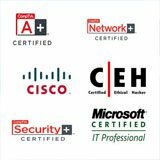 If you have more than 10 computers on your network then it is recommended to use a server instead of a workgroup. Share a printer from all computers on the network. Access any file from any computer. Share the Internet connection using Internet Connection Sharing (ICS). Let's configure your computer name and join the computer to a workgroup. The easiest way to accomplish this would be to run the Network Setup Wizard. The Network Setup Wizard will guide you through the steps needed to set up your home or small office network. This tutorial will show you how to basically do the same setup that Network Setup Wizard does. 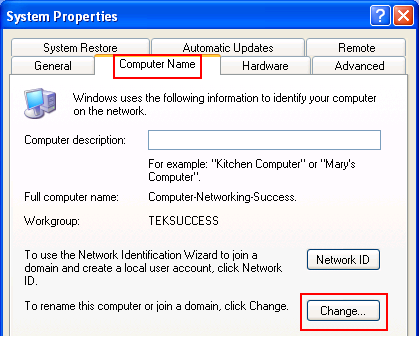 To change computer name in Windows XP follow this step-by-step. 1.) 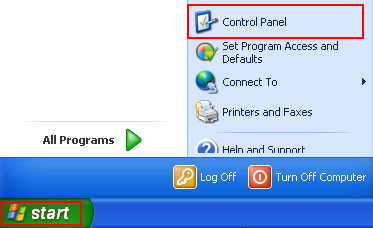 Click Start then click Control Panel. 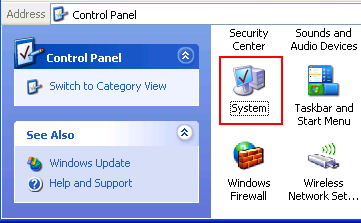 Note: You can also reach the System Properties Window by right-clicking My Computer and clicking Properties from the drop-down window. Note: In the text box for Computer description: you can type a description of the computer. For example: If the computer is in the living room, you can type "Living Room Computer"
Type in the new computer name and under Workgroup: type in the workgroup name for your network. 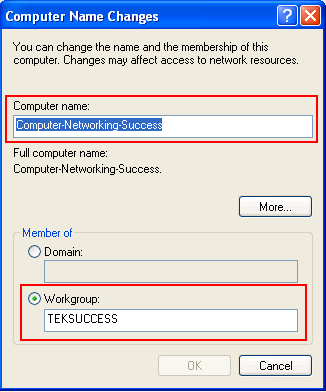 I named my computer "Computer-Networking-Success" and joined the workgroup called "TEKSUCCESS"
The computer name must be unique on the network. Just like the IP address must be unique on the network. The workgroup name must be the same on all the computers on the network. 5.) Finally click OK and a Welcome to the workgroup messsage confirms you have joined your workgroup. 6.) Windows XP prompts you to restart your computer. After you restart you can check the System Properties window and confirm your computer name has changed and so did the workgroup.